Ruby garnet color. Fruity aromas of cherry jam, maraschino liqueur, coriander, and black pepper with a satiny, crisp, dry-yet-fruity light-to-medium body and a warming, breezy cranberry fruit leather, toasted marshmallow, cocoa butter, and roasted nuts finish with well-integrated tannins and a suggestion of oak flavor. A lush satisfying Sonoma Pinot with ripe fruits and a toasty finish. 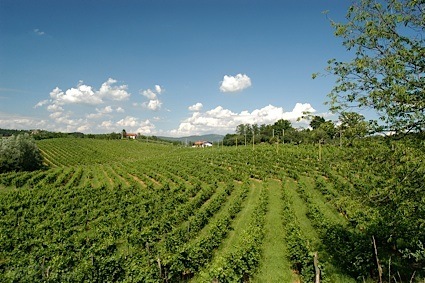 Bottom Line: A lush satisfying Sonoma Pinot with ripe fruits and a toasty finish. 89 • Night Cap 2016 Zinfandel, North Coast 14.5% (USA) $24.00. 93 • Parmelee-Hill 2012 Estate Grown "Block B", Syrah, Sonoma Valley 14.5% (USA) $38.00. 89 • Parmelee-Hill 2012 Estate Grown, Zinfandel, Sonoma Valley 14.5% (USA) $32.00. 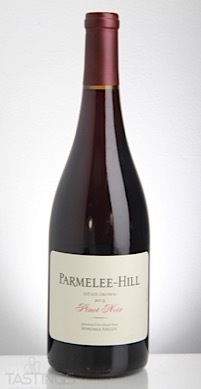 92 • Parmelee-Hill 2013 Estate, Pinot Noir, Sonoma Valley 14.5% (USA) $45.00. 84 • Parmelee-Hill 2013 "Darcy" Rhone White, Sonoma Valley 14.5% (USA) $30.00. 91 • Parmelee-Hill 2014 Estate Grown, Chardonnay, Sonoma Valley 14.5% (USA) $45.00. 93 • Parmelee-Hill 2013 Block B Estate Grown, Syrah, Sonoma Valley 14.5% (USA) $38.00. 87 • Parmelee-Hill 2015 Clubhouse Estate Grown, Chardonnay, Sonoma Valley 14.5% (USA) $45.00. 92 • Parmelee-Hill 2015 Estate Grown, Pinot Noir, Sonoma Valley 14.5% (USA) $45.00. 91 • Parmelee-Hill 2016 Estate Grown, Chardonnay, Sonoma Valley 14.5% (USA) $45.00. 91 • Parmelee-Hill 2016 Estate Grown, Pinot Noir, Sonoma Valley 14.5% (USA) $45.00. Parmelee-Hill 2015 Estate Grown, Pinot Noir, Sonoma Valley rating was calculated by tastings.com to be 92 points out of 100 on 1/24/2018. Please note that MSRP may have changed since the date of our review.